Micro SD card automatic 1 color ink-cup pad printer(WE-9169) - Guger Industries Co., Ltd. 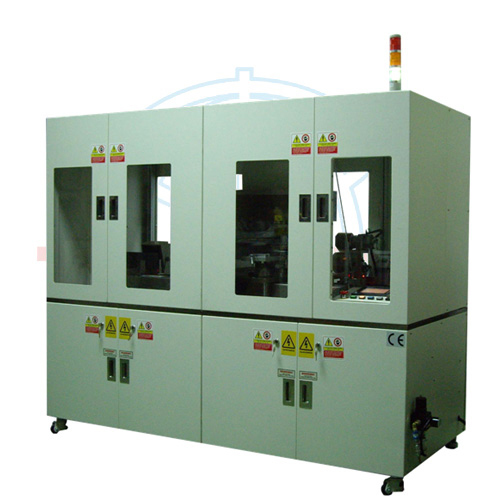 When one printing is completed, the machine will clean the pad. The vacuum device is adopted for fixing the SD card. Servo motor is used for good precision, long-term operation without displacement. Pad clean device can clear the surplus ink and tiny dust, make the printing. POD control system is adopted for easy operation & maintenance. Using imported ink cup, stable quality, save the cost of ink & solvent, no scent, no smell, beauty printing color, low pollution and increase the production capacity.